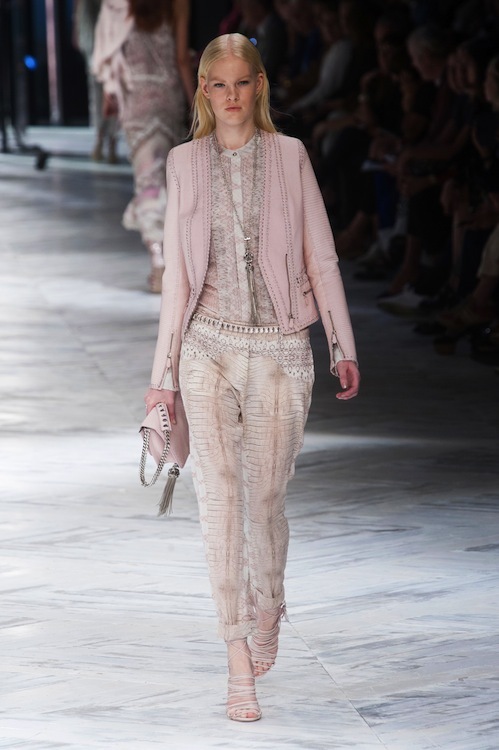 Ok, we love Cavalli and his delicate feminine pieces keep us coming back for more. With muted tones, intricate beading and lots of python prints in sheer fabrics, spring 2014 is sure to be fun. Easy does it with this costume National Collection. 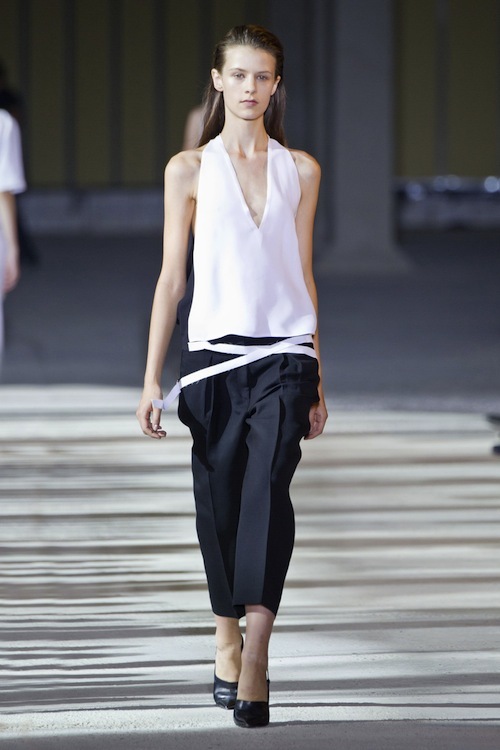 Clean, sleek lines and edgy chic is this collection's take on S/S 2014. The color palette was predominantly white and black with an interruption of a bright yellow piece and a bit of blue. This new designer is all about African prints. This collection which featured a multitude of prints and lots of color is said to be selling off already. Personally I think it is hideous!